Persistence paid off! 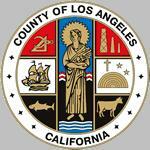 In late 2005 we attempted to gain media exposure for LP200 to celebrate the city’s upcoming 225th anniversary. 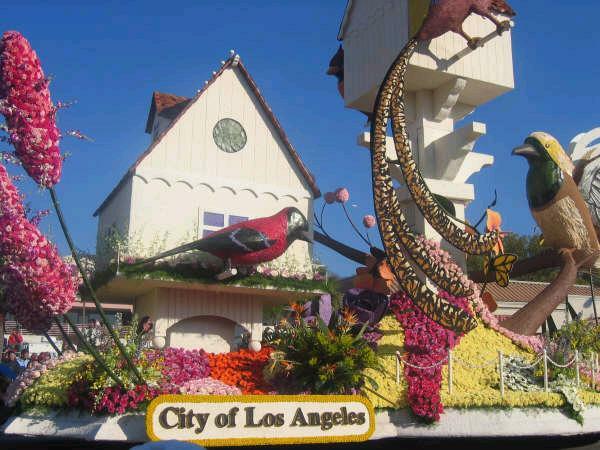 It came as a surprise in late 2006 when I got an email from the float builders inviting us to ride the Los Angeles float in 2007 Rose Parade. 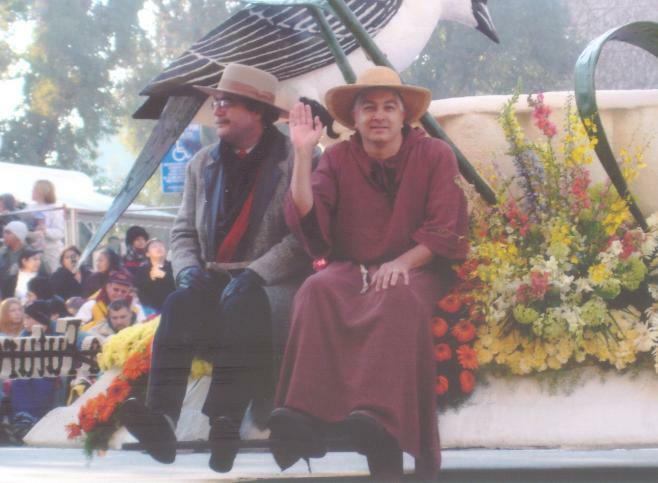 We had initially hoped to be in the 2006 parade, but luckily for us it rained that year! 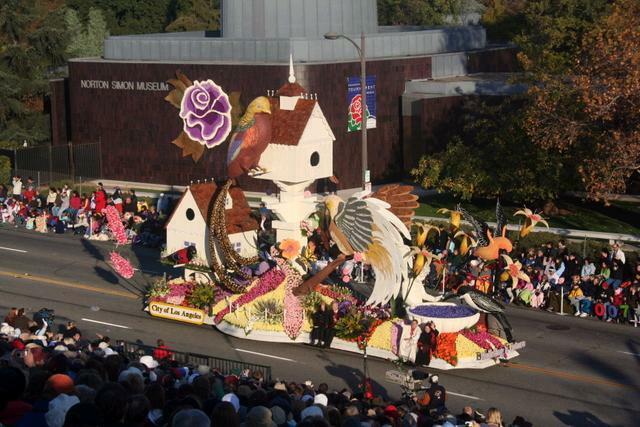 And technically, the 2007 parade was during our 225th banner year which worked out much better. Five LP200 members got to ride with Channel 5 newsman Stan Chambers. 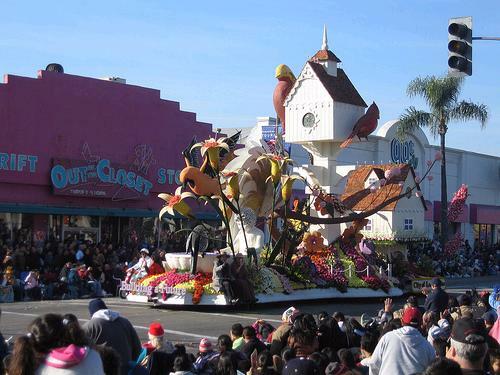 I had not been to the Rose Parade since I was a kid, so to be a parade participant was truly an event to remember. At first I was upset having to ride on the north side of the float because the Channel 5 news cameras are always looking from the south, but as luck would have it a friend of mine happened to spot me from the crowd and snapped a picture of me waving to the crowd. Plus, my mother-in-law and her family said they saw me on TV on their San Diego cable channel. The ride itself lasts a couple hours. We had taken publicity photos in costume the day before for a contest, and I remembered that bringing a cushion to sit on would be a good idea - I was right. We all had a great time representing the city to the cheering spectators. It was kinda like being a rock star for the day. 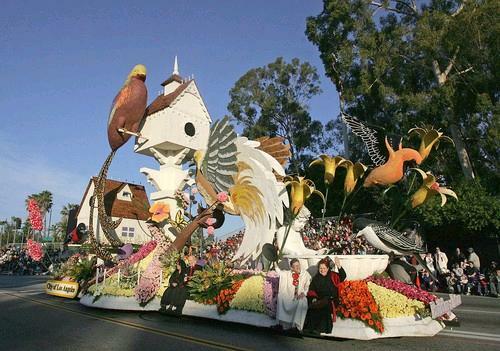 The float had built-in speakers blasting Randy Newman’s I Love LA. It was fun working the crowd and getting them to sing along as we passed - "we love it!" I look back with pride every time I think of that day.